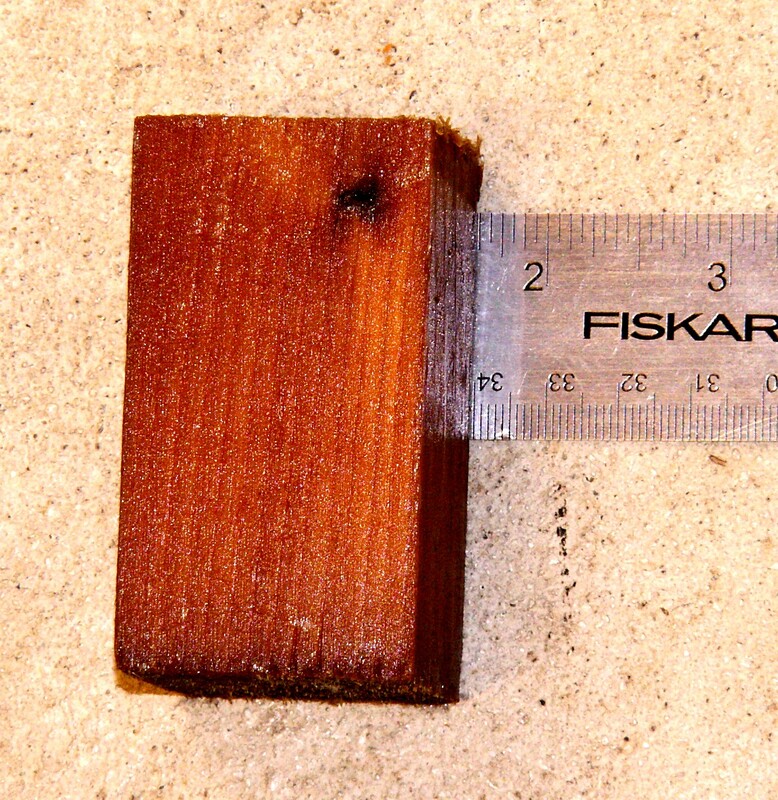 What would be the properties of this wood? 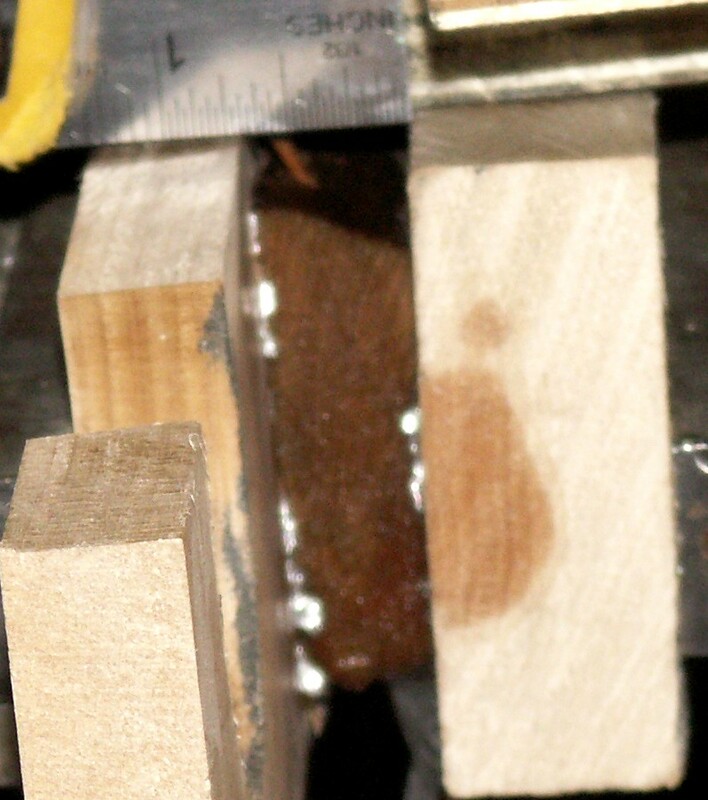 One thing I noticed was the small number of checks seem to occour where the grain was crushed furthest away from perpendicular to the grain. 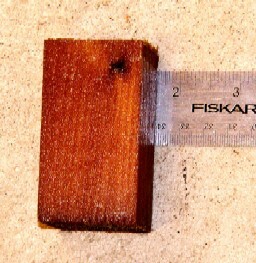 I will be trying to carve up some tiny plates out of this crushed wood (and a control) to get an idea of the workability of the wood. The wire mesh in the background is 1/4" for scale. 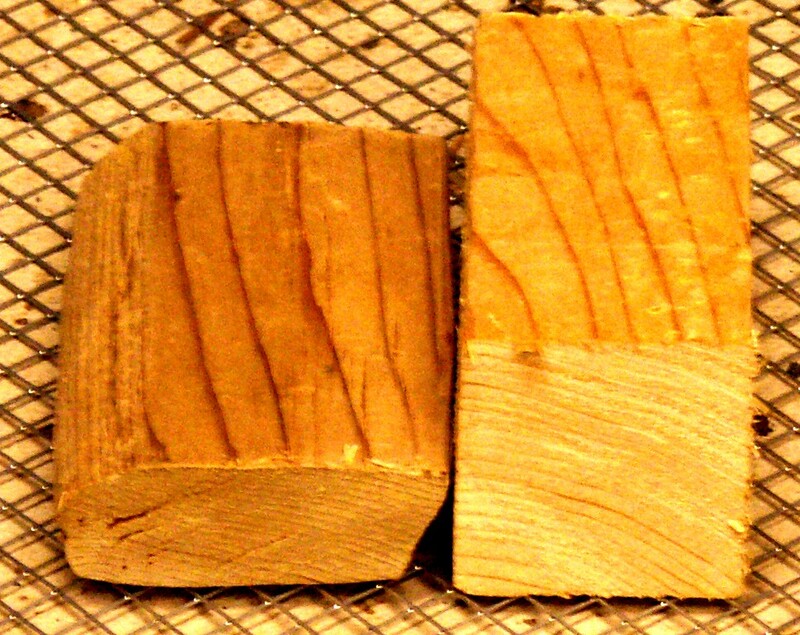 The smaller piece is a 3" section thats been crushed while wet and hot. 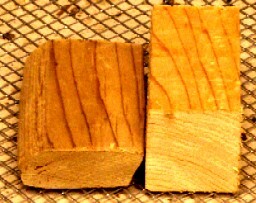 The bigger piece is a 3" section sawed off right next to the same piece of wood.